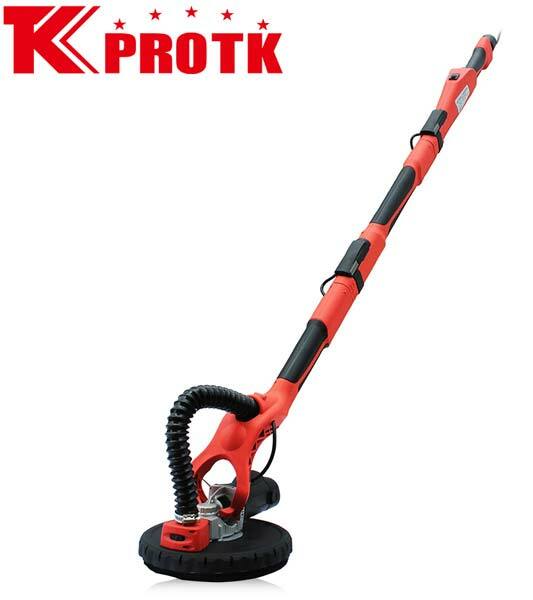 We are one of largest manufacturer, exporter and supplier of Drywall Sander (TK-2300F-1) based in Jiangsu, China. Our Drywall Sander of 710 Watt and 110/220/240V voltage has 450-1050 rpm. Its packaging is done in a carton box with all its accessories like sanding pater (6pcs), internal hexagonal wrench (1pc), Carbon brush (2pcs), 4 meter soft tube (1pc), Adapter (1pc) and Screwdriver (1pc). We are capable of taking bulk orders also.